Do you want to get more bang from your blog without working harder? 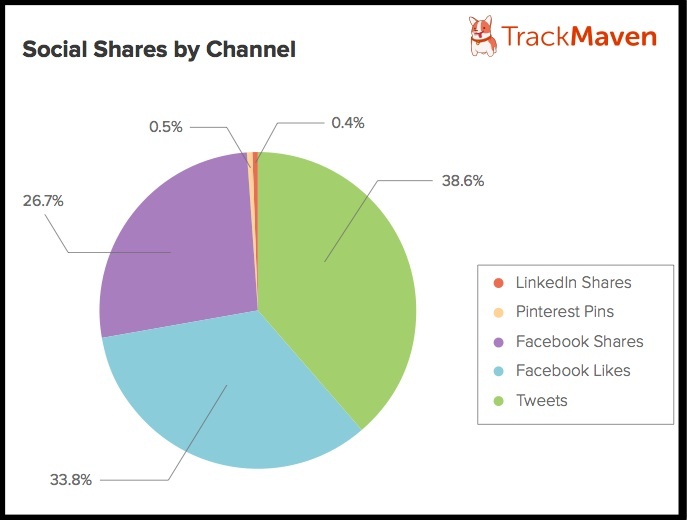 For the answer, lets analyze TrackMaven’s April 2014 findings based on examining 4,618 blogs, 1,167,426 total posts collected from these blogs, and 1,915,428,305 social shares associated with these posts. 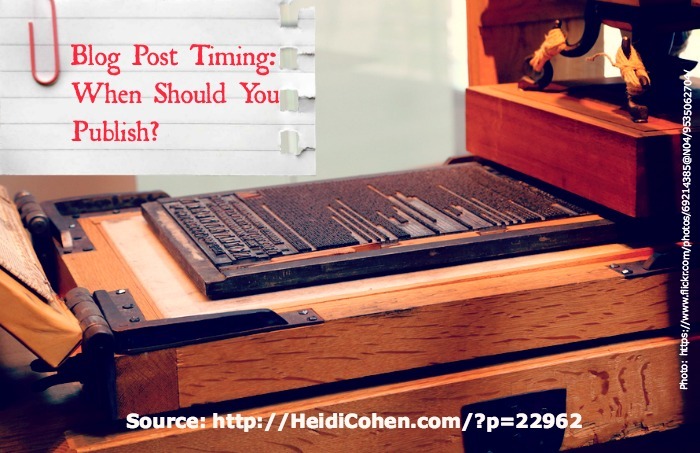 Blog post timing: When is the best time to publish your blog posts? As any good accounting student will tell you, the best time to publish your blog posts depends on your goals. 87% of blog posts were posted during the workweek. Most blogs are updated during the middle of the week. 13% of blog posts were published during the weekend. Although only 6.3% of blog posts were published on Saturdays, these articles received 18% of the total social shares. Test and measure to determine which days yield the best results for your blog posts. Remember it’s not about when you’re in the office creating your blog. It’s about when your audience is ready to consume it. Consider moving to less frequent publishing times to take advantage of lower competition to help your content to shine. 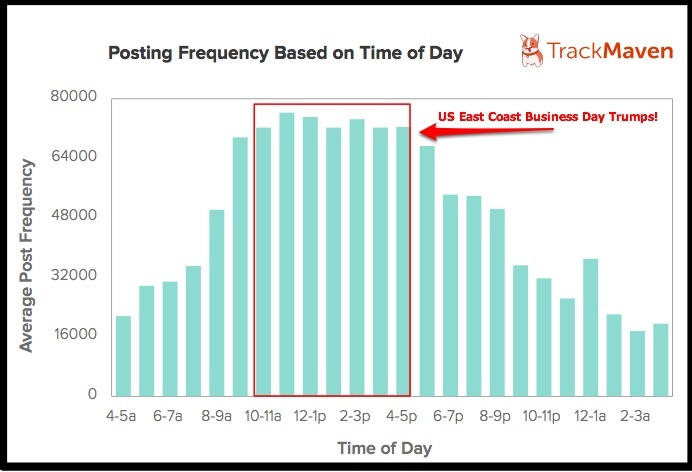 What time of day is most effective for blog posts? Understand your audience and their content consumption habits before you determine your publishing schedule. Blog posts tend to be published within business hours from roughly 9AM to 6PM EST, peaking at 11AM-12PM (6.53% of blog posts are published in this timeframe.) Blog posting frequency steadily declines after 6PM EST. The peaks of social media engagement cluster outside of “normal” work hours. 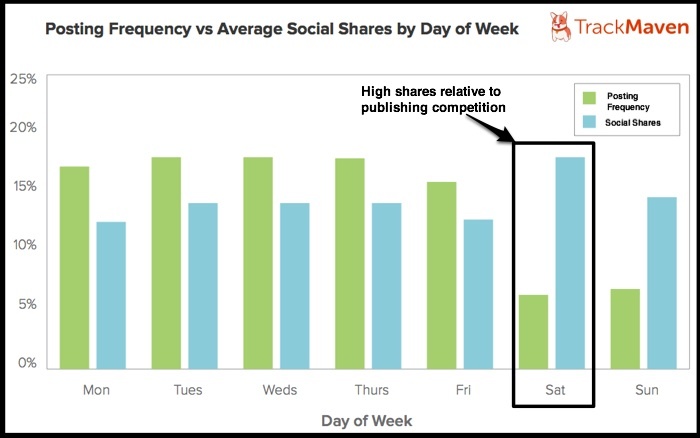 Publish blogs between 9PM-midnight EST to maximize social shares, especially between 10PM and 11PM when engagement peaks. Regardless of whether you’re publishing business or consumer oriented content on your blog, your audience is consuming it during their quiet time, nights and weekends. Blog posts published between 9PM and midnight on the east coast of the US have the most social shares. Publish blog content outside of the business day to reach your target audience when they’re ready to consume it. 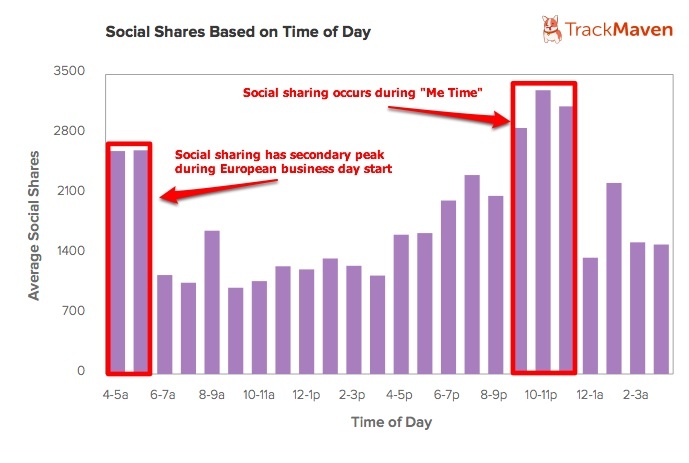 The highest engagement occurs between 10 PM and 11PM when readers are relaxed and at home. 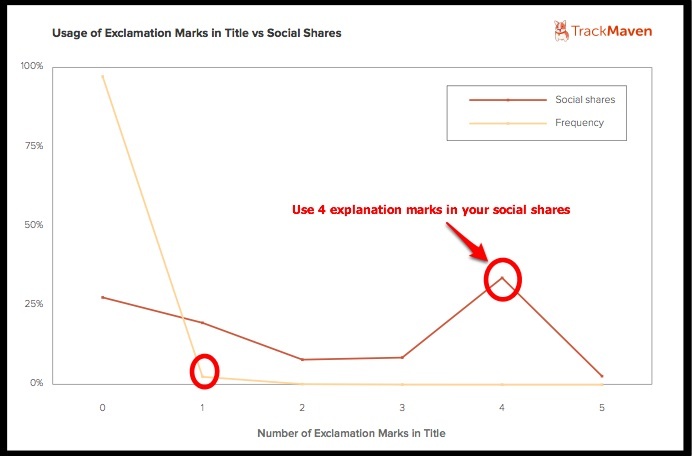 Blog title punctuation has an impact on social shares. Most of the 1+ million blog posts were declarative headlines. Make your title into a question. 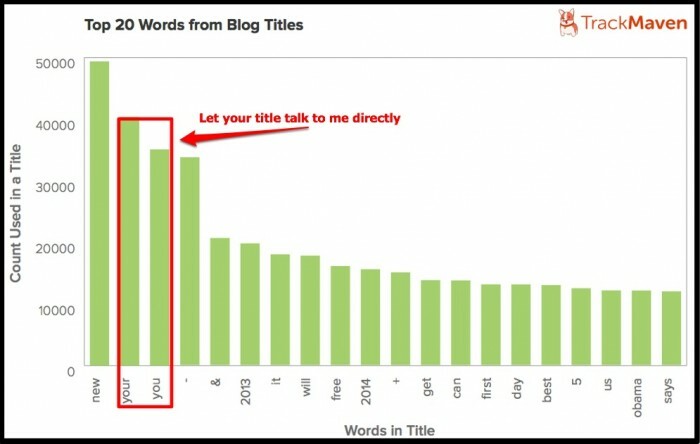 94.89% of blog titles didn’t include a question mark. 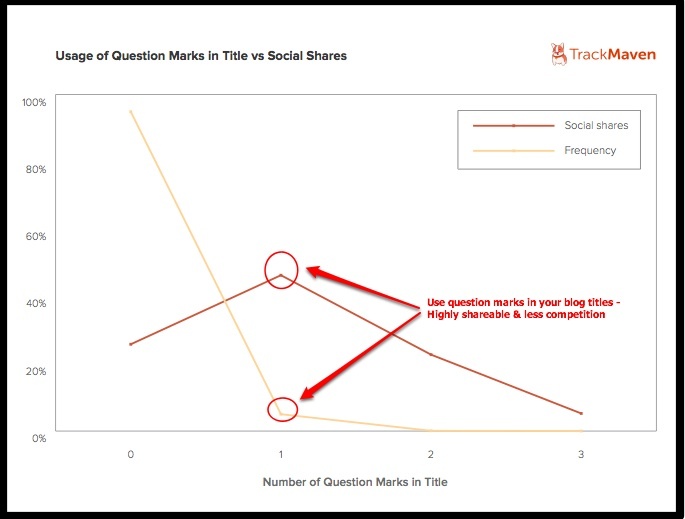 5.01% of blog titles including a single question mark yielded 46.30% social shares, almost twice the amount titles lacking a question mark. Average engagement was lowest for titles 2 or more question marks. Too much of a good thing is ineffective. 97.24% of blog titles don’t contain an exclamation point. 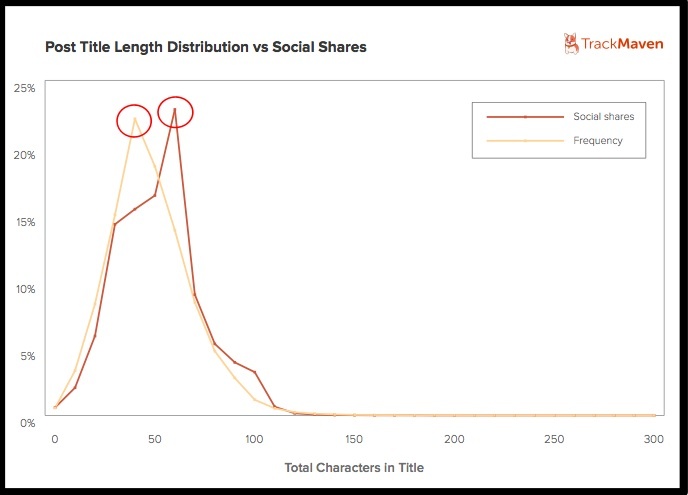 The average social shares decreased for the less than 0.1% of blog titles that included up to 3 exclamation points. 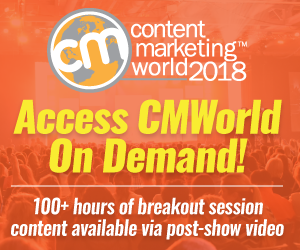 4 exclamation points were used by less than 0.1% of blog posts but yielded an average of 2,027 social shares on average or 33.72% of the total since real excitement is shareworthy. Use a mix of upper and lower case letters in your title. 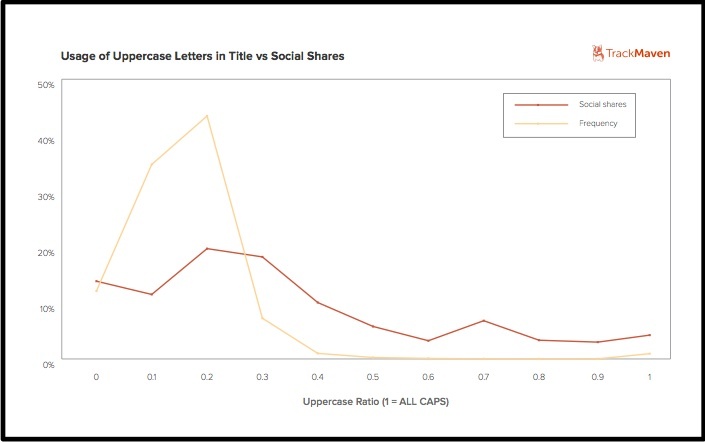 12.14% of blog titles used all lower case letters. Talk to me in your blog title. Spend time crafting the best title you can since it’s the major element that determines how your blog post will perform. Don’t forget to share your blog posts on social media platforms! Tweets accounted for 38.6% of total social shares of blog posts. Facebook Likes accounted for 33.8% and Facebook Shares accounted for 26.7% of total social shares of blog posts. Tailor your blog post content and related social shares by platform. Test what type of blog posts work best on social media platforms. This blog related research provides insights to enable you to make your blog more effective without necessarily adding more resources by changing your blog post timing. Instead spend time assessing your blog title and post distribution before you hit publish. 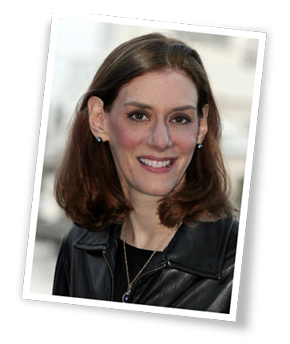 What’s your favorite blogging tip to improve your blog’s effectiveness without using more resources? Tags Chart, Research, TrackMaven. Bookmark the permalink. Thanks for such a great article on publishing schedule. I publish newsletters for our healthcare professional association chapter on a quarterly basis. Very refreshing to see the graphs and charts here for a better understanding.